This stone pillar stands next to a big torii archway (gate) in the front entrance of Shiogama shrine. 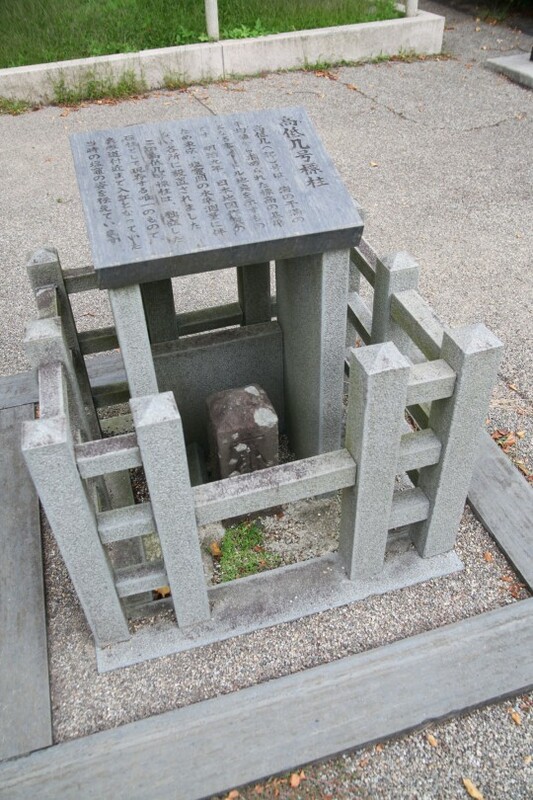 It’s 37cm high, and has a square pyramid shape with a stone on the top the sides of which are 15cm long. 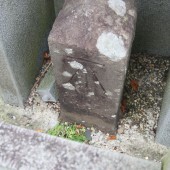 On the front side of the pillar, there is a symbol or mark engraved to show the standard altitude of Japan. It was established by the Ministry of Home Affairs to commemorate the creation of the first modern Japanese map in the early Meiji period. 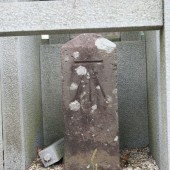 It was also used as a marker to distinguish between the northern Kanto and Tohoku regions.